Port Louis (Mauritius) – April 5, 2017 (travelindex.com) – Ministers from Comoros, Madagascar, Mauritius, Reunion and Seychelles sitting as the Indian Ocean Commission endorsed the Seychelles bid for Secretary General of the United Nations World Tourism Organization (UNWTO). Mauritius, the seat of the Indian Ocean Commission (IOC) confirmed that decision 23rd) of the Minister’s Meeting of the Indian Ocean Commission (IOC) states that the Commission notes with satisfaction the bid by the Republic of Seychelles to head the United Nations World Tourism Organisation (UNWTO) as Secretary General and request the Commission’s Secretary General to follow up as necessary and to do the needful. This endorsement is good news for Alain St.Ange, the Seychelles Candidate for the position of Secretary General of the UNWTO. The Indian Ocean Vanilla Islands where Tourism Ministers of the islands of the Indian Ocean sit have already endorsed the Seychelles Candidate, but now it was the Foreign Affairs Ministers of the Islands of the Indian Ocean (Comoros, Madagascar, Mauritius, Reunion and Seychelles) coming together to wish Sychelles well with its bid. To be noted is that the Islamic Republic of the Comoros, Madagascar, Mauritius and Seychelles are all part of the African Union (AU) and Reunion is the French Island in the Indian Ocean. 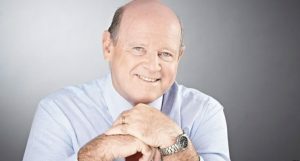 Alain St.Ange has said that he is thankful to the Governments of Islands of the IOC and salutes the Foreign Affairs Departments of the islands for standing with Seychelles to be SG of the UNWTO.